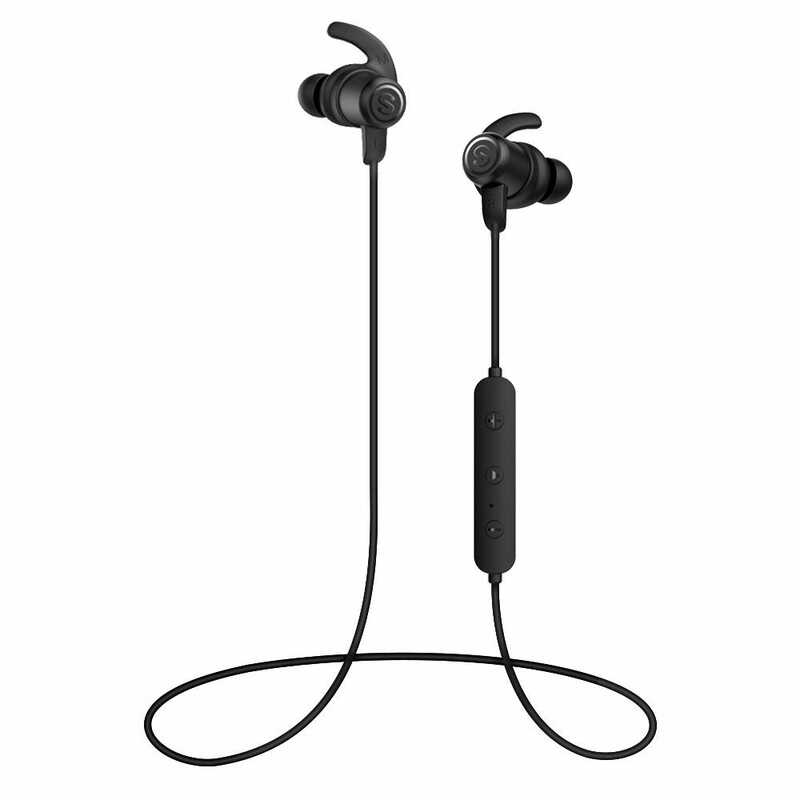 When it comes to headphones for the gym there’s more important factors than perfect fidelity; price, battery life, sweat resistance, and other key design considerations weigh more heavily when you’re picking headphones that need to survive abuse without putting a dent in your budget. But where do you begin? 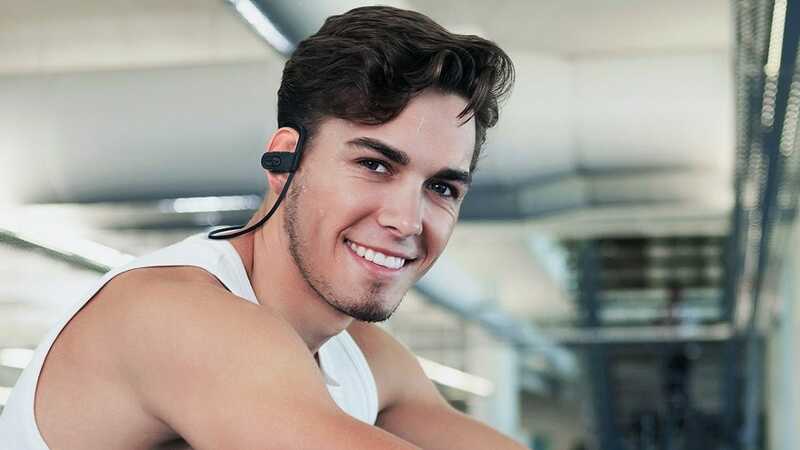 We’ve chosen our top picks for inexpensive yet reliable Bluetooth headphones so read on to find the one with the features that align with your workout style and budget. The best thing about traditional corded earbuds is that you can take them out of your ear to chat with somebody or listen to an announcement without worrying that you’ll lose them. The SoundPEATS design gives you the best of the wireless world: no cord dangling in the front to get caught on a machine and the wire linking the earbuds that makes it easy to hang them around your neck. The buds even magnetically clasp together to help keep them on your neck when not in use. The buds are even small, so SoundPEATS are perfect for those who prefer a more discrete look. For the price, these earbuds can withstand a lot more than a forgetful athlete; they’re also great for high-intensity activities that involve a lot of sweat. With a high IPX6 water resistance rated (which will handle everything short of you swimming laps with them on), the SoundPEATS are great for almost every activity. If you’re into running, lifting weights, or doing yoga, they’ll keep on playing. They will even stay securely in your ears, especially since there are 5 sizing options and 2 different styles for the ear tips. The SoundPEATS provide 7 hours of talk or music time and up to 100 hours of standby time. They also have a microphone on the cord for phone calls, along with volume and next/previous track buttons. With great security and functionality, you can’t go wrong with these earbuds can’t go wrong. It’s not going to be a good workout if you show up with uncharged headphones. 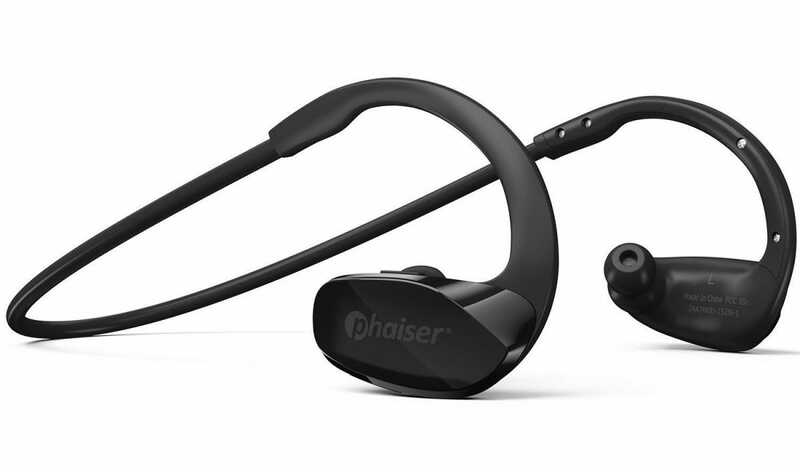 The Phaiser Bluetooth Headphones will allow you to make phone calls and listen to music during your entire 8 hour work day, and then let you jam to your favorite workout playlist at the gym without having to charge them up again. With an 11 hour battery life, the Phaiser headphones offer playback time that will surely outlast your workout. The Phaiser headphones are water resistant, so whether you’re dealing with rain, snow, sleet, or sweat, they’ll survive. The over-ear design helps keep them in place and the around-the-head wire design further ensures they won’t fly off unless you’re pulling them free. The other headphones on this list are only water resistant to the degree that you can get really sweaty while wearing them, but you better not go swimming. 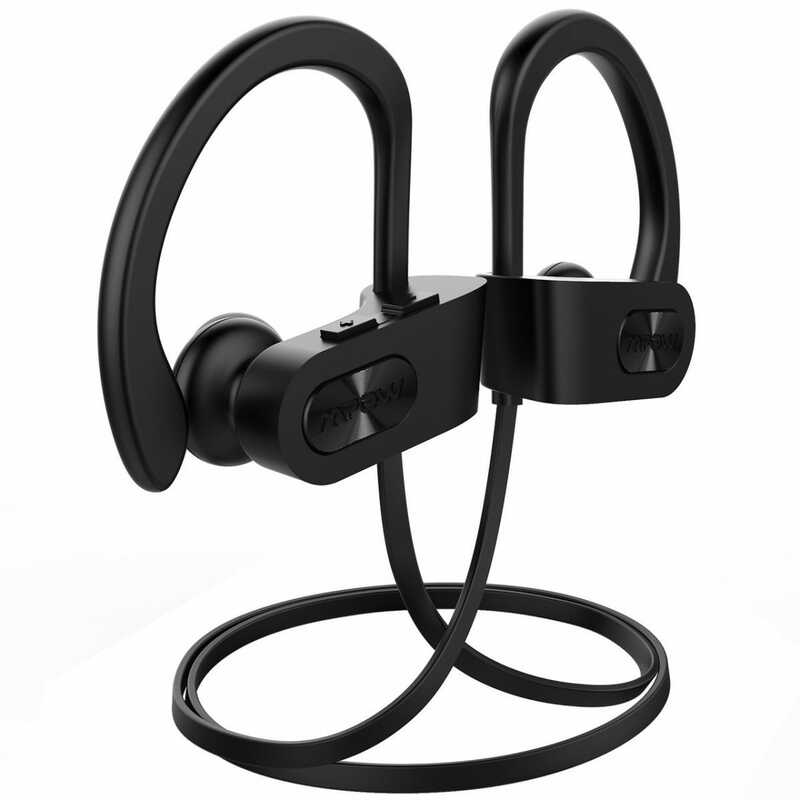 The Mpow Flame Bluetooth Headphones are IPX7 rated, which offers them protection against outright dunking in the pool. Go ahead and swim a few laps, because they can be submerged up to a meter. Not only can you sweat and swim to your heart’s desire, you can also listen to your favorite pump up songs with rich range and sharp bass for up to 9 hours. And don’t worry about your Mpow Flame headphones falling out; the sturdy and comfortable hooks around your ears stay on during any activity, especially with the wire clamp that adjusts behind your head. If nothing else being able to shower in these headphones makes the Mpow Flame a must-have-steal at only $20. You’ll notice there aren’t other totally wireless headphones on this list. Once you get into the tiny form factor of wireless earbuds, you run into a significant price hike. These buds from Goutoday are a nice compromise because they’re only $38. There aren’t any cords to get tangled in, and they’re super lightweight and small—great for those who pack lightly. 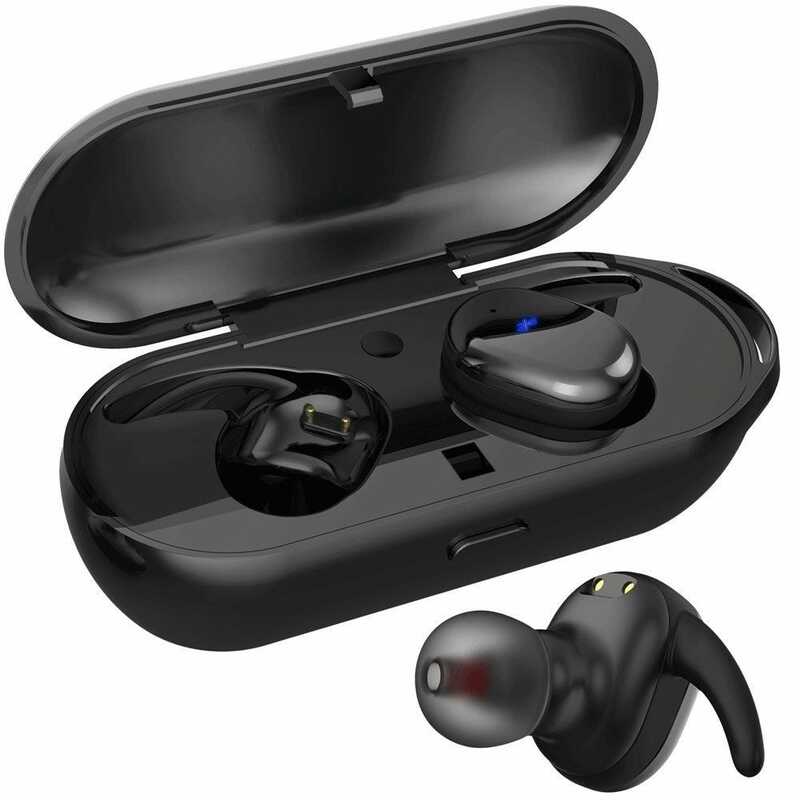 The Goutoday True Wireless Earbuds are perfect for working out because they’re not only sweat proof, but the silicone ear tips comfortably stay fitted in your ear. They can even play music up to 3 hours (which is a pretty decent play time for inexpensive in-ear wireless earbuds). But if you’re worried about that time frame, these earbuds come with a portable magnetic charging box that can charge your Goutoday earbuds anywhere. The case can charge the earbuds 4-5 times you can hit the gym or go running after work multiple times before you have to recharge the case.